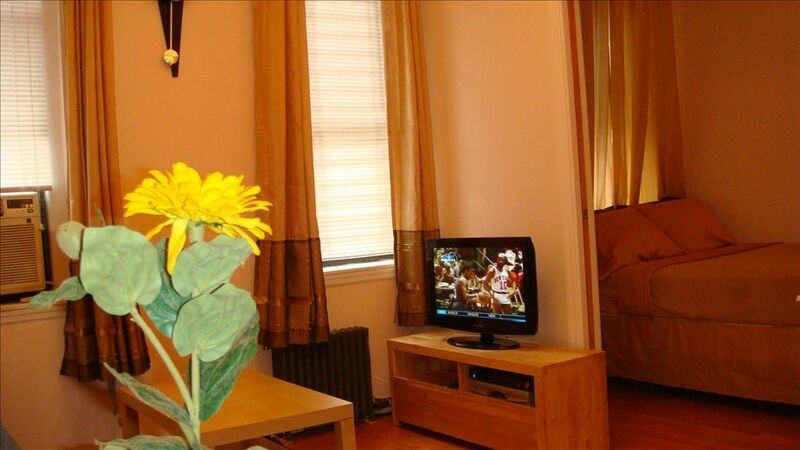 Located in the Theater District, we are within walking distance of many tourist attractions - Times Square where the ball drops on New Year's Eve, TKTS, the place to buy half-priced theater tickets, Rockefeller Center, Radio City Music Hall, St. Patrick's Cathedral, Fifth Avenue shopping, Central Park, Grand Central Station, etc., etc. FREE USE OF WI-FI, DIGITAL PHONE, UNLIMITED CALLS NATIONWIDE, CANADA & PUERTO RICO. Our gift shop ( Gift Expressions ) downstairs is where you check in and check out. Additionally, you may store your locked luggage in the gift shop if you arrive earlier than the check-in time of 3:30 pm or if you have a late flight after checking out at 11:00 am.